If you only use public transport to get around, getting out of the city and into the bush might not seem that easy. The shots of stunning cliff top coffee spots and amazing sunrises can seem a little out of reach without your own wheels. But if you want to save on cash, carbon emissions and hassle, there are actually some amazing walks just a train (or bus) ride from Sydney. And it’s cheap too! Having previously lived in London, $150 for a two hour trip wasn’t unusual. But in Sydney even a three hour trip to the Blue Mountains will only cost a bit more than your ‘Long Black in a reusable cup’. The village of Wentworth Falls is one of the more accessible areas of the vast expanse of forest that makes up the Blue Mountains National Park. At around 2 hours from Central Station in Sydney you’ll want to pack a book or plan a nap, but the journey soon passes. 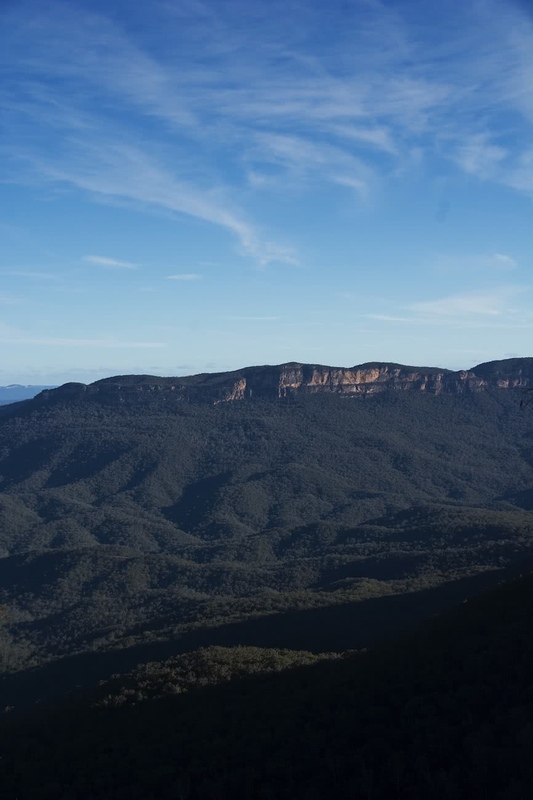 On both the Overcliff walk and Charles Darwin walk expect amazing scenery, abundant bird life and lots of tasty food waiting for you at the Wentworth Falls Conservation Hut when you’re done. With a range of tracks to explore, this area warrants a number of trips. This one is a guaranteed crowd pleaser. From the viewpoint at the very start to the secluded beaches at the end and all of the amazing habitats you walk through in between. 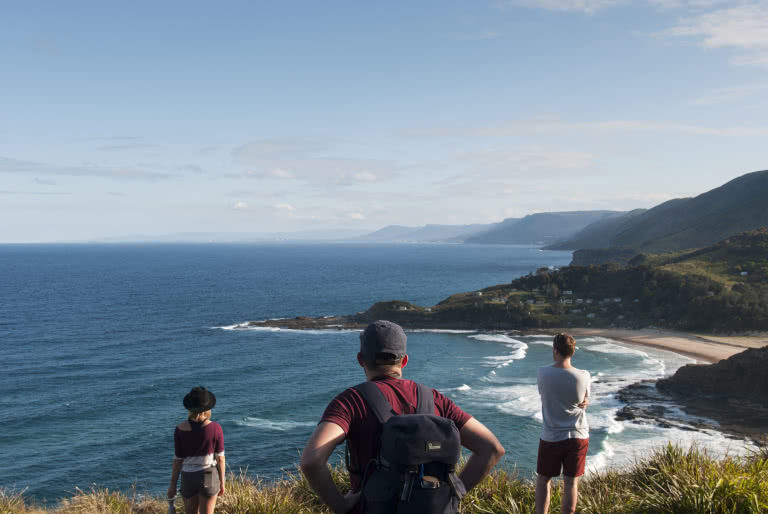 On the southern end of the Royal National park, Otford Station is only 75 minutes from Sydney but it feels a million miles away when you’re there. The trains aren’t as regular on this route so make sure you plan your journey in and out, otherwise you could be sitting around, tired and hungry, while night sets in. Glenbrook is one of the less well known locations in the foothills of the Blue Mountains National Park, but it’s no less dramatic. In one direction, towering cliffs line a narrow gorge full of huge boulders while in the other, glistening plunge pools offer an escape from the summer heat. 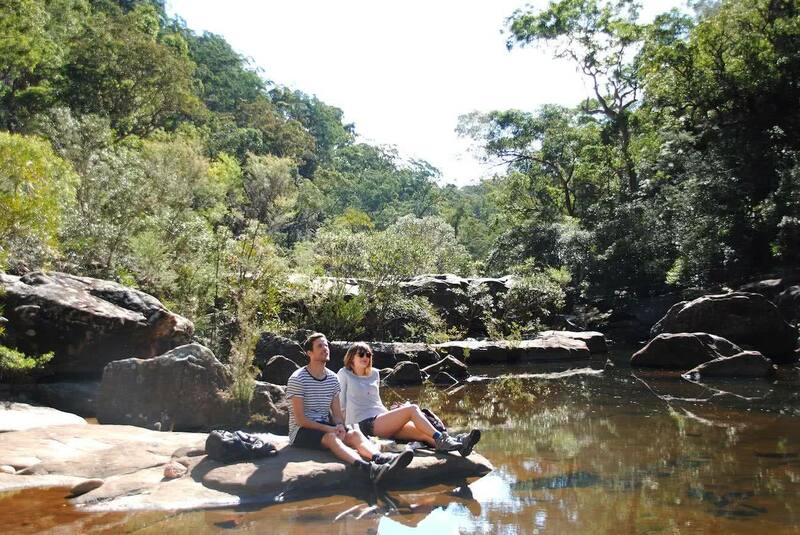 Glenbrook Gorge is perfect for getting a Blue Mountains feel, without having to go all the way to Wentworth and beyond. It’s around an hour 45 minutes from Sydney and the walk starts in a small village that has some great cafes and a pub with a lovely beer garden. 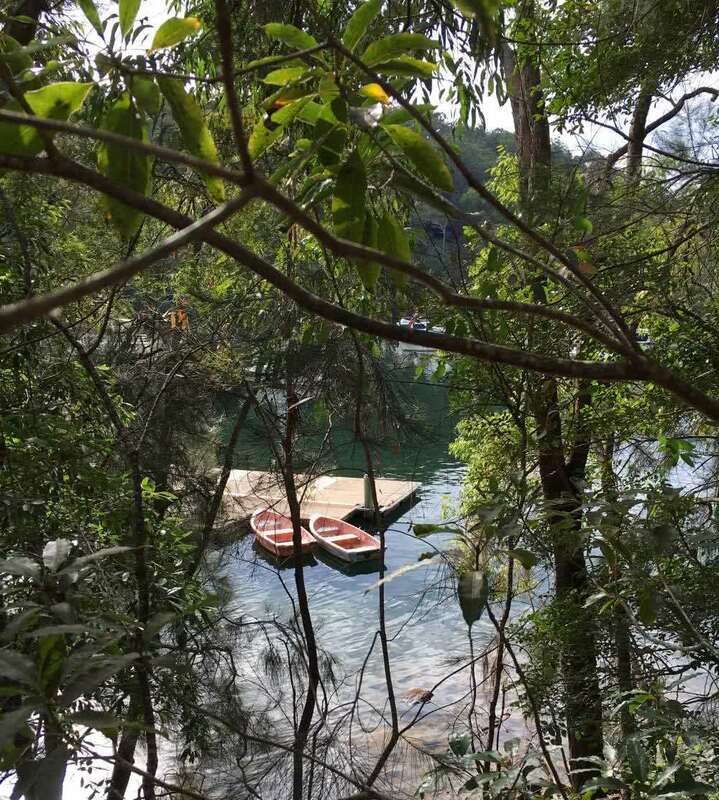 The Ku-ring-gai Chase National Park is located on the northern side of Sydney Harbour and stretches all the way up to the Hawkesbury River estuary. Countless trails criss-cross the forests and valleys. This particular trail drops from the station down to Cowan Creek and follows it north. Keep an eye out for Kingfisher and White Bellied Sea Eagle. Trains up to Mount Kuring-Gai run regularly from Sydney. Depending on the kind of walk you want to do, there are a number of variations as the train line follows the western side of the National Park and has several stations that can be used as start and end points. Nearest Station: Actually a bus to the Spit Bridge. Ok… technically the start of this amazing walk isn’t reached by train and the end might involve a ferry but it’s worth including. You’ll need to get a bus to the Spit Bridge. But just like the trains, it will only set you back a few dollars. While this might not be the most wild or remote walk, it’s a definite must for people visiting or looking to show off the city to visitors. 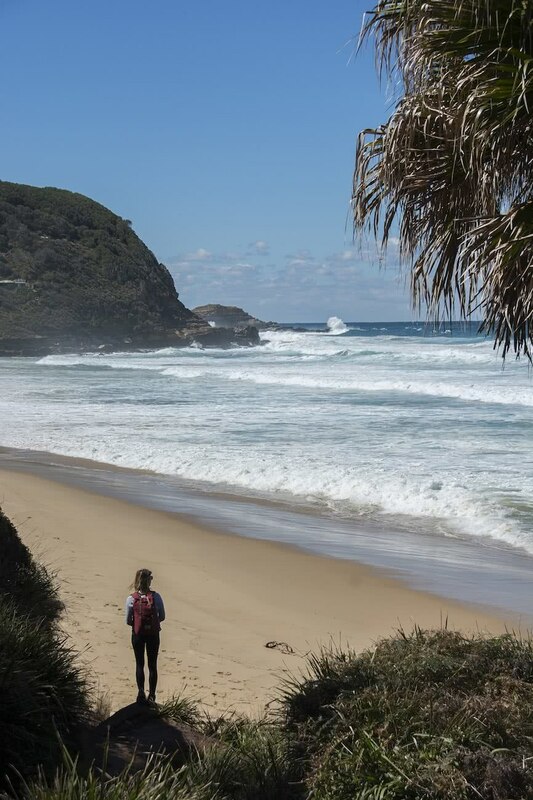 The track follows the northern shore of Sydney Harbour taking in beautiful beaches and breathtaking views across the bay. If the weather is good, be sure to take your swimmers and a towel. Once you reach Manly it’s a relaxing ferry ride back to the city. The train from Sydney to Blackheath is around 3 hours. 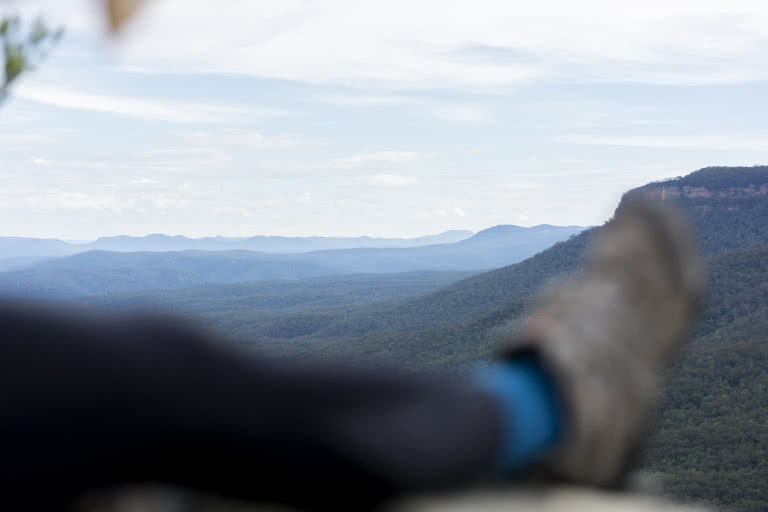 Just on the edge of being too far for a single day hike, but the view from Baltzer lookout and Hanging Rock make it very worthwhile. From Blackheath there’s some road to cover before entering the trail, about 600m to the Ridgewell Rd turnoff where the hike begins. The walk is straight forward and easy to follow. Despite becoming a bit samey after a few kilometers, the view at the end is definitely worth it. Pack a camera and food and take your time at the look out. 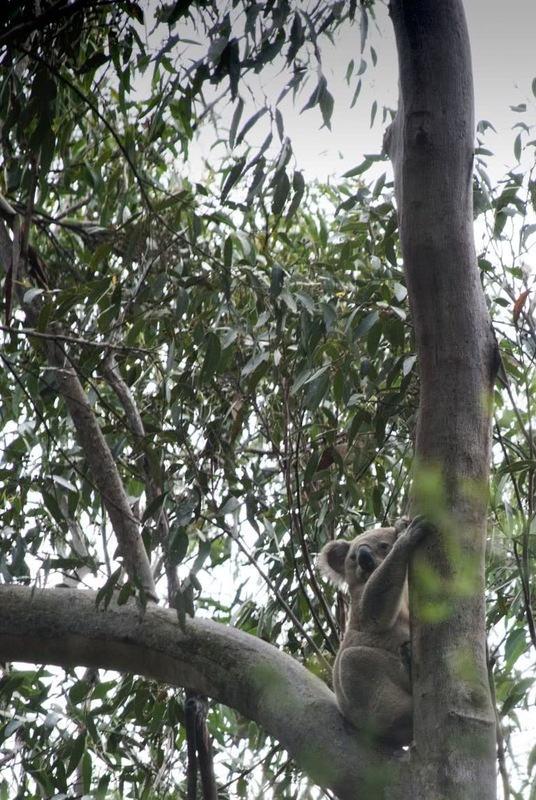 Despite its proximity to Sydney, this walk is packed with great wildlife including everyone’s favourite tree hugging bear. Catch the train to Leumeah and after a short stomp through the back streets you’ll come to the edge of the sprawling Smiths Creek reserve, just west of the Heathcote National Park. The area is quite compact but has a big network of paths to explore. Keep your eyes out for Eastern Rosella, Red Bellied Black Snake and Koala. The feeling of adventure starts right on the platform in Sydney. Due to the small number of people who want to get off at Wondabyne, you have to inform the guard you want to stop and when you’re back on the platform ready to head home, you need to wave the train down. Forget and you could be out in the bush for a while! It’s not a well known route meaning you won’t see many other people. 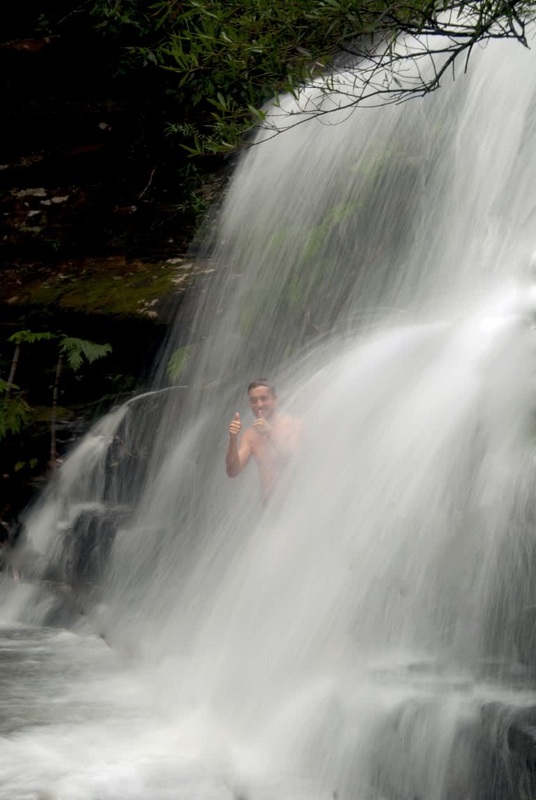 There are some great views across the valley and depending on the recent weather Kariong Falls is a great place to take a dip before retracing your steps back to the station. In wet weather there can be a number of leeches so be prepared. 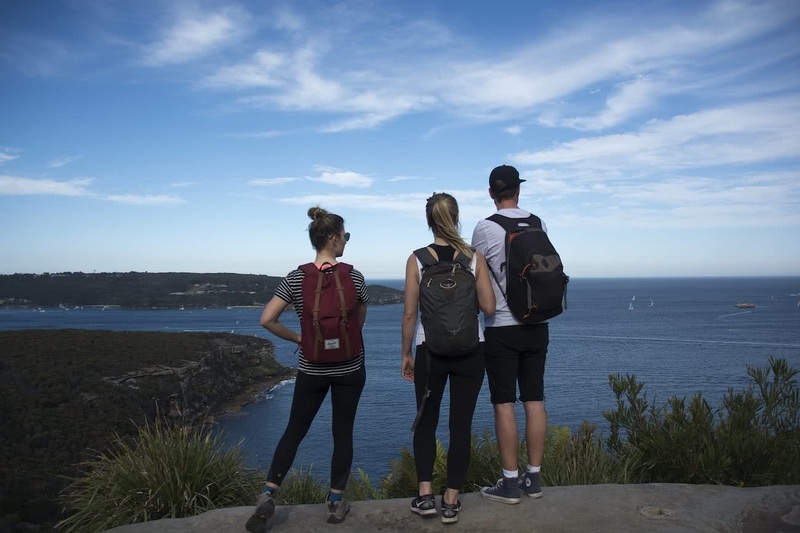 Somewhat a rite of passage for all Sydney based walkers, the Otford to Bundeena coastal track takes in around 30km of amazing scenery. From secluded beaches to cliff top waterfalls. The route is normally tackled over two days with camping at North Era camp ground (booking necessary) but for the determined it can be done in one hit, taking around 8-9 hours. Catch the train out to Otford Station in the South and finish at Bundeena in the North, catching a ferry that takes you back to Cronulla and the Sydney rail network. Make sure you pack your swimmers. You’ll be passing a lot of stunning beaches! 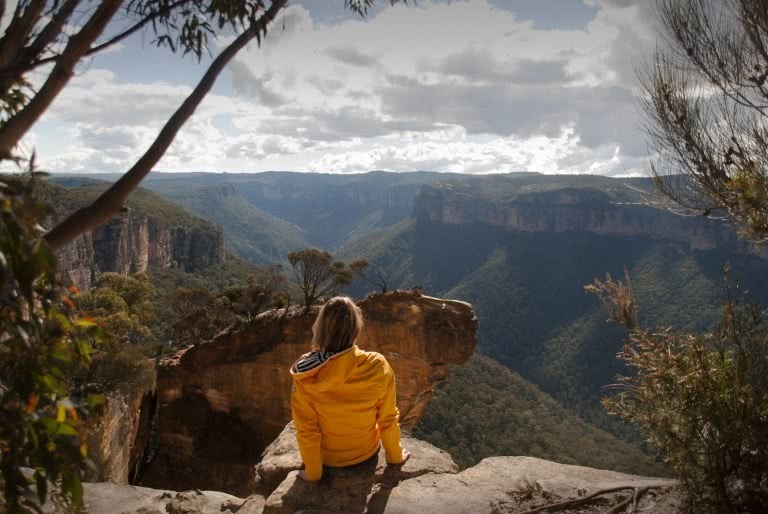 There are some great, truly wild walks that start and finish in Katoomba. Just 3 hours from Sydney, the area acts like a gateway to some of the more remote areas of the Blue Mountains National Park and beyond. If you’re looking for a one day taster, heading out to Ruined Castle is a great choice. Starting in a crush of tourists at Scenic World, you soon leave the crowds behind as you head out along the Federal Pass Walking Track into the valley. Ruined Castle itself is a pile of rocks protruding from the surrounding sandstone, offering incredible views south towards Kanangra Boyd and the perfect spot to have your lunch before returning to town. There are lots of options out there via the train line once you start looking. Although these are all doable in a day, there are heaps of multi-day hikes linking different stations together. Top up your Opal Card and get exploring! Leave your car at home! Are you a weekend adventurer and content creator? Join the Explorer Project by submitting your adventures. Don’t be scared! Most of our Explorers don’t call themselves ‘writers’ or ‘photographers’. They’re just weekend bandits, getting out there. Originally from England and now in Sydney, Matt and Kat are exploring their way through Australia, one microadventure (and a few big adventures) at a time. Passionate about bird life, they usually have a few feathered friends to tick off along the way.